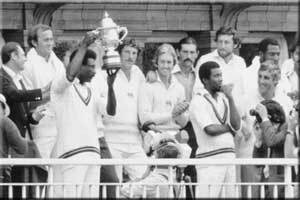 First ever ODI Cricket World Cup was played in England between 8 International Teams. 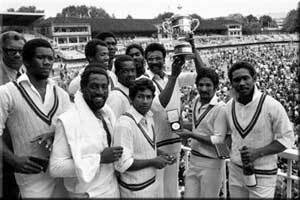 England, India, East Africa, New Zealand, Australia, Pakistan, Sri Lanka and West Indias participated for the first Cricket World Cup tournament. Total 15 games were played at 6 different venues of England. 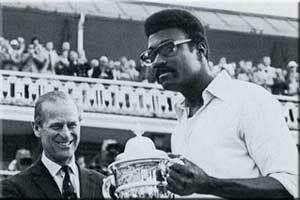 The first three events were held in England and officially known as the Prudential Cup. 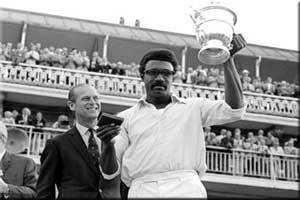 West Indies snached the 1st World Cup Trophy with good all round Cricket of super fast bowlers and classic batting preformances. In Final match West Indies beat Australia by 17 runs. 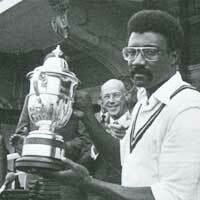 West Indies skipper CH Lloyd was man of the match for his extra ordinery inning of 102 runs of 85 balls.